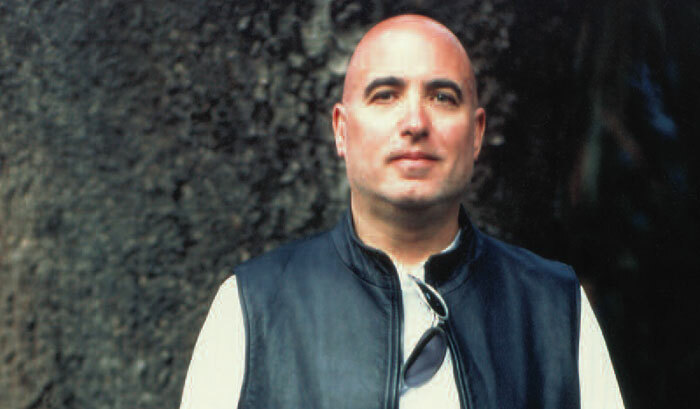 Want a career like Mike Garson's? Playing piano for rock innovators Smashing Pumpkins, Nine Inch Nails, and David Bowie... collaborating with jazz giants such as Freddie Hubbard and Stanley Clarke... composing hundreds of modern classical pieces? Nothing to it, says Garson: "Basically, I studied classical piano for ten years, then studied jazz for six or seven years. After that, I practiced eight hours a day for another ten years. I estimate I've put in between 50,000 and 70,000 hours practicing." Brooklyn-born Garson was an intellectually inclined jazz musician when Bowie hired him for 1972's now-legendary Spiders from Mars tour. "I was just a jazz musician in shock!" chuckles Garson. "I only played about four bars at the audition before Mick Ronson, Bowie's guitarist, said, 'You've got the gig!'" Garson went on to lend his freeform piano flourishes to the classic Aladdin Sane and Diamond Dogs albums. Garson returned to jazz and classical pursuits after his Bowie years. But history repeated itself in 1993 when the singer re-recruited the pianist for his Black Tie, White Noise disc. More recently Garson has contributed to both the Pumpkins' Machina: The Machines of God and N.I.N. 's Fragile. "With both bands I had the same sort of freedom I had with Bowie," he says. "Maybe it was because those Bowie records are what Trent Reznor and Billy Corgan were listening to when they were 12 or 13, the same way I would listen to records by Bill Evans, Art Tatum, or McCoy Tyner when I was a kid." Now that the Smashing Pumpkins' farewell tour has drawn to a close, Garson has returned to his principal passion of the last seven years: a composition method he calls "Now Music." "It's my own way of composing," he explains. "I sit down at a Yamaha Disklavier and improvise classical pieces. It started as an exercise, but I wound up writing nocturnes and preludes in every key, 32 sonatas, 39 rhapsodies, a piano concerto. These pieces are entirely improvised, but they sound written." Garson was one of the first players to embrace the Disklavier, a concert-quality piano that can record and play back realtime performances. "The concept is a bit similar to a player piano, but you have infinitely better control and tone because the recording method and the piano itself are so sophisticated," notes Garson. "The Disklavier changed my life. When I used to write with pencil and paper, my head always went too fast for my hand. But in the last five years I've managed to write 900 pieces on the Disklavier." At home Garson uses a top-of-the-line 9' Disklavier, but on the road with the Pumpkins and others, he relies on a compact GranTouch model. "The GranTouch is a digital piano," he says, "but it has a real piano action, and the 32mg memory makes it the best-sounding instrument of its type I've heard. And you don't have to deal with miking the piano live each night." Even though leading classical players have performed Garson's improvised compositions, Garson says he's received static from some segments of the classical community: "Now Music frightens them. One classical pianist performed one of my pieces, but after I went to the premiere and told him how I'd written it, he lost interest. Some people don't like the fact that I can compose a piece in five minutes, but they have to understand that it's really five minutes plus 48 years of practicing. The rock people understand it better than the classical people do. That's why I hang with them!" But Garson remains confident that many musicians will soon embrace Now Music: "I think it will be a movement over the next 20 years, like Impressionism or Romanticism or Classicism. I'm not saying I'm as skilled as Mozart or Liszt or Debussy. I'm just trying to carry on that tradition. But I tell you - if those guys had had the technology I have, it would have been scary!" Hear some of Garson's scariest sounds for yourself at www.mikegarson.com.